$10.10… Beware the Obama/Costco Bulk Purchase Income Inequality Conspiracy!!! Volunteers who lathered themselves with extract of broccoli sprouts avoided skin damage from ultraviolet radiation. 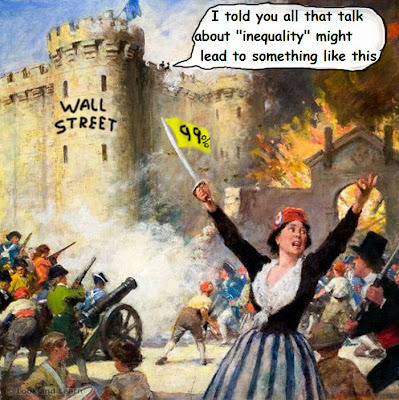 I told you all that "inequality" talk could lead to this! My wife sent this to me. I thought it put a recent movie into perspective. Hi, my name is me. I've never been one before. Recollections of another Atlanta storm. Trying to maintain a once per week blog, but here it is Thursday, most optimalist day for publishing as I've discovered through my own primitive observations of net algorhithms, and I have nothing. What to do but plow forward? Ramble on . . .
YOU'RE TOO BLESSED TO BE STRESSED! What are the two immutable sources of the reality that surrounds us every day? The laws of science and the laws of fashion. But what do you when these two worlds collide? You call Your Science-Fashion Advisor, that’s what!